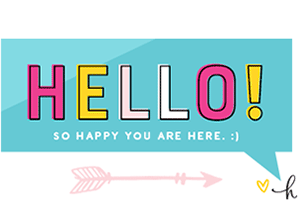 Let’s get those creative juices flowing — literally! 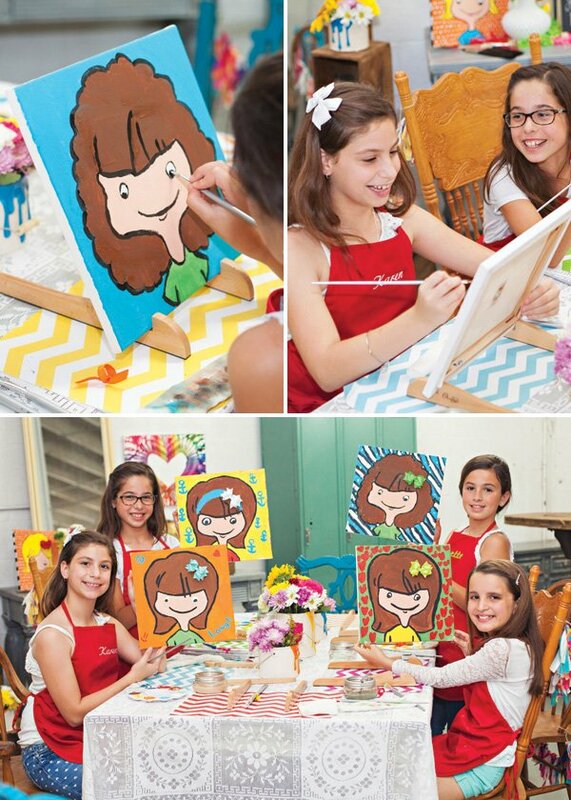 Olga & Yvette of u.Paint by O.riginals created this pop-culture inspired “Let me Paint a Selfie” Art Birthday Party for some tween girls (who, it’s safe to say, probably take a selfie every once in a while). 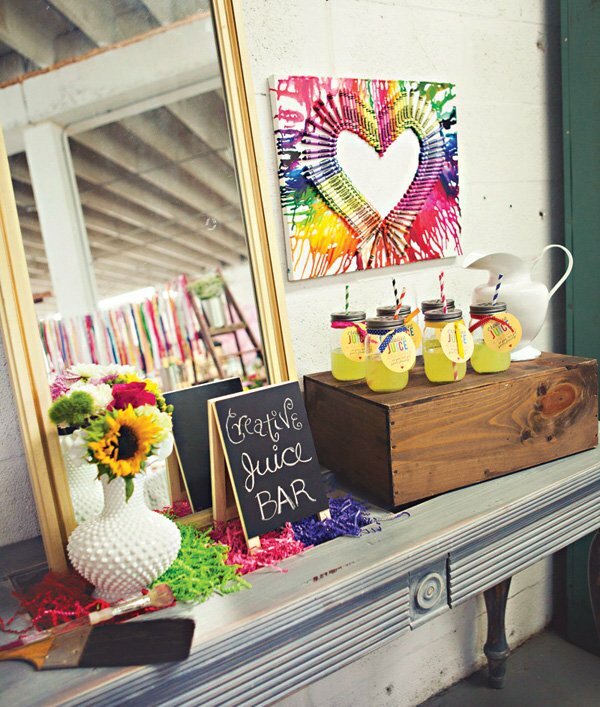 I love all of the shabby chic decor and of course, the refreshing Creative Juice Bar to help the girls get inspired ;)! 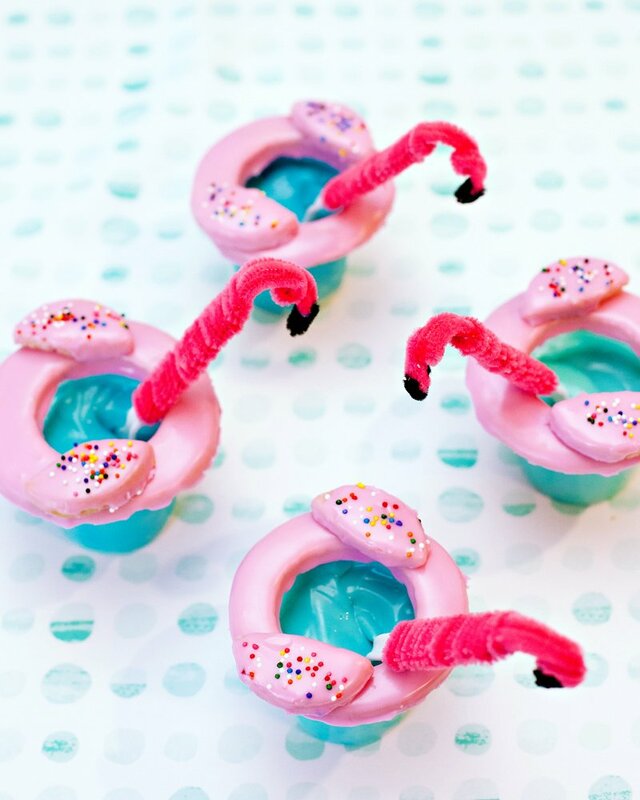 In the summer months, moms are always looking for innovative ways to keep their little ones entertained. 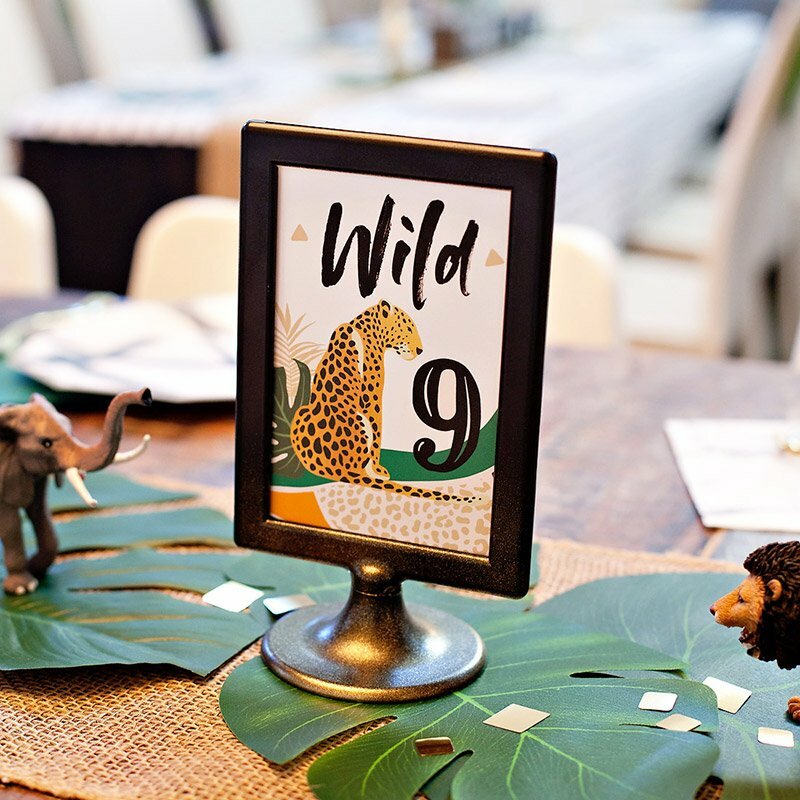 So, on a Saturday afternoon in Miami, a mom hosted an intimate get-together for her daughter and a few friends — one that was filled with creative details, fun entertainment and even a little paint splatter! Styled by myself and Yvette of The Salvage Snob, the event included vintage details, combined with modern flair. 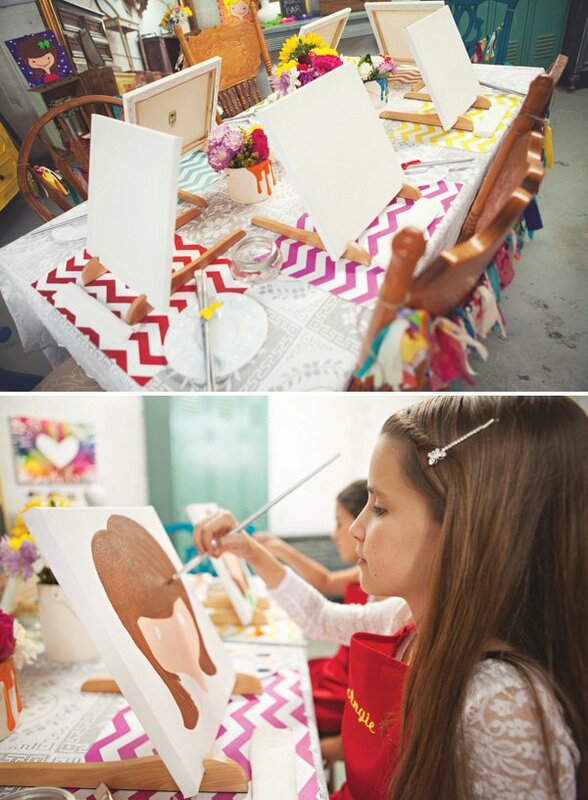 The painting station was created atop a Rod Farmhouse Table, which was dressed with a beautiful white lace tablecloth. Each place setting contained a chevron-printed paper placemat, an easel, 12” x 12” canvas, palette, set of three brushes, water jar and wipe cloth for each artist. To add a creative touch, the brushes were wrapped with a colorful ribbon and laid on top of the plastic palette, which contained 10 paint wells. 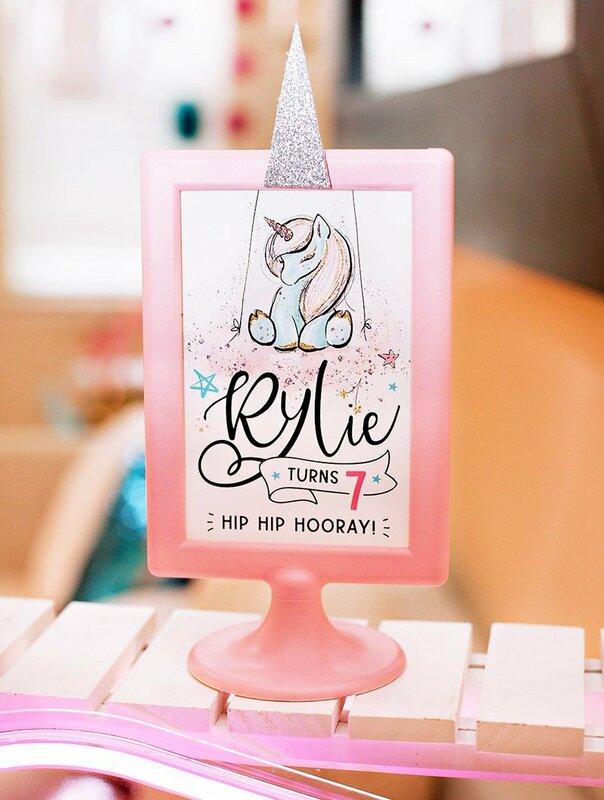 A pint-sized mason jar (sans the lid) was used as the water jar for artists to easily clean their brushes between brush strokes. A piece of cheesecloth was carefully rolled up and used as the wipe cloth for the brushes, in lieu of traditional napkins or paper towels. 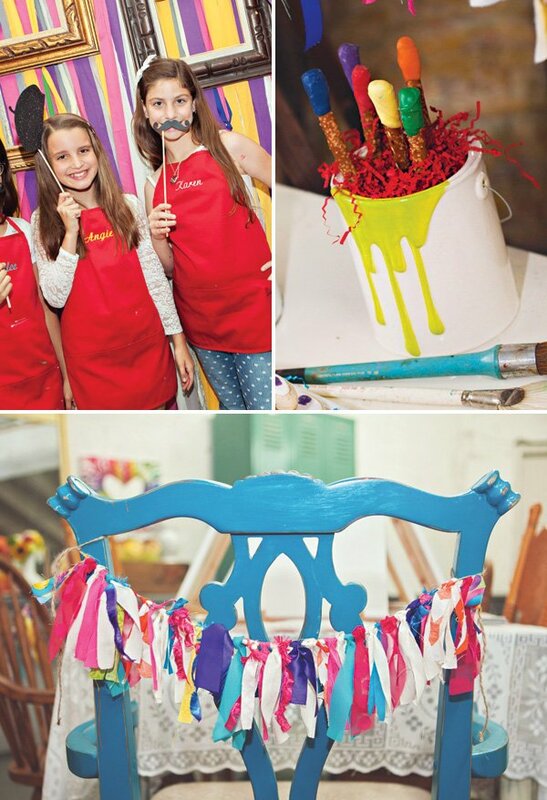 The artists sat on vintage mismatched wooden chairs, courtesy of The Salvage Snob, which were adorned with colorful chair garlands created by Northern Cottage. They wore personalized, embroidered aprons — a package upgrade from u.Paint. In the center of the painting station, a beautiful centerpiece was created using three art-themed vases from Michaels, filled with an assortment of colorful flowers, including sunflowers, roses, carnations and daisies, to name a few. 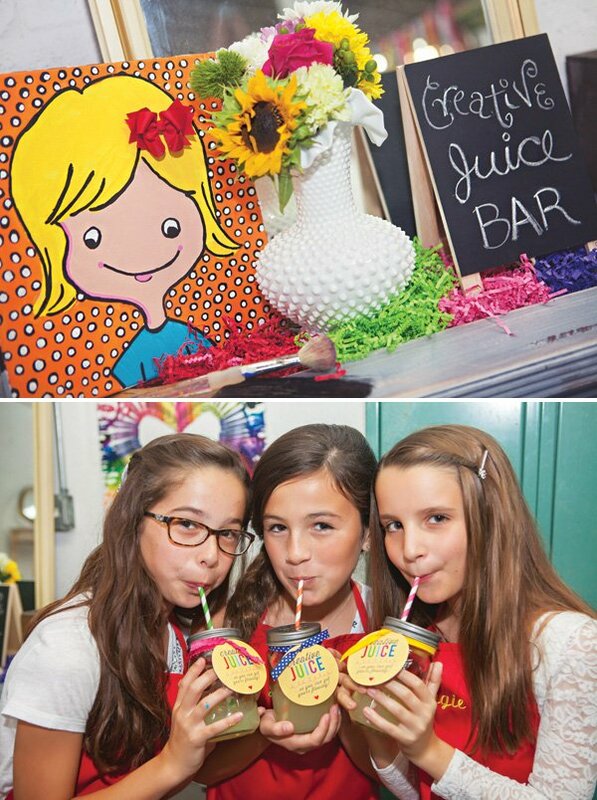 To keep the artists hydrated during their craft session, a Creative Juice Bar was created and positioned behind the painting station. Styled atop a grey vintage dresser, courtesy of The Salvage Snob, the Creative Juice Bar included mason jars filled with refreshing lemonade. Each mason jar was adorned with a colored ribbon, daisy-cut lid, assorted striped paper straws, and a round tag, designed by Olga of u.Paint that appropriately read, “ Creative Juice…so you can get yours flowing.” A wooden crate, white ceramic pitcher, floral arrangement, mirror, assorted paper crinkle, paint brushes and sample self-portrait paintings were used to accessorize the “bar.” A mini wooden chalkboard easel from Michaels appropriately labeled the station. 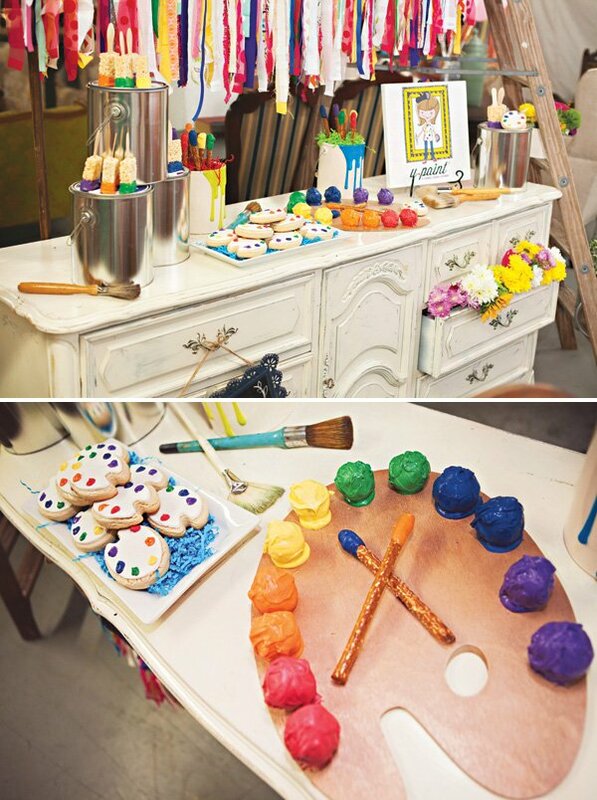 The “starving artists” enjoyed delicious, art-inspired treats made by Party Creations by Arleen. 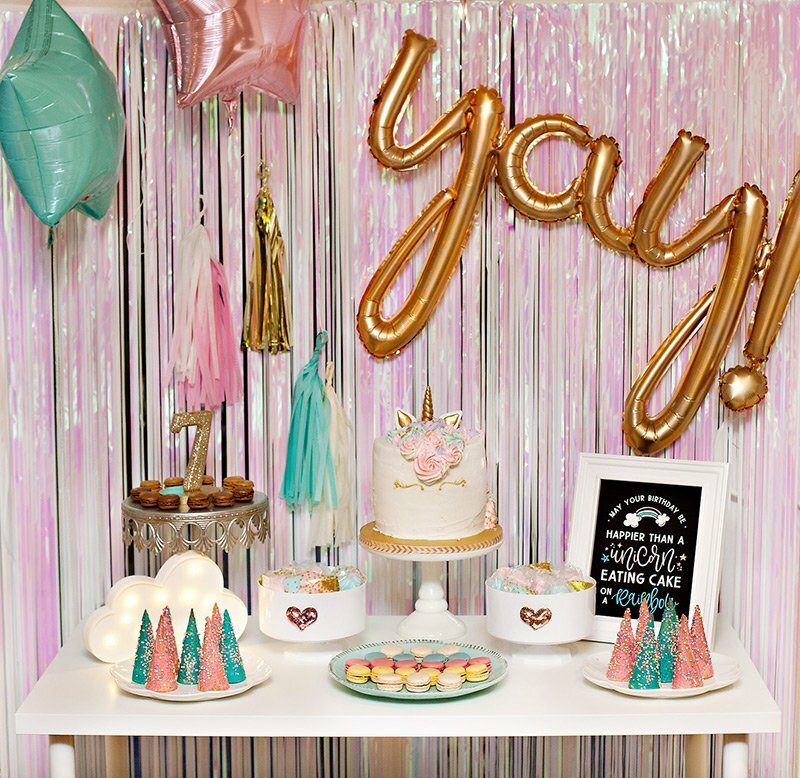 The dessert assortment consisted of Rice Krispie Treat Paint Brushes, Pretzel Paint Brush Sticks, Art Palette Sugar Cookies, and a wooden art palette filled with colorful cake balls. These were beautifully styled by Yvette of The Salvage Snob, atop a vintage white dresser. 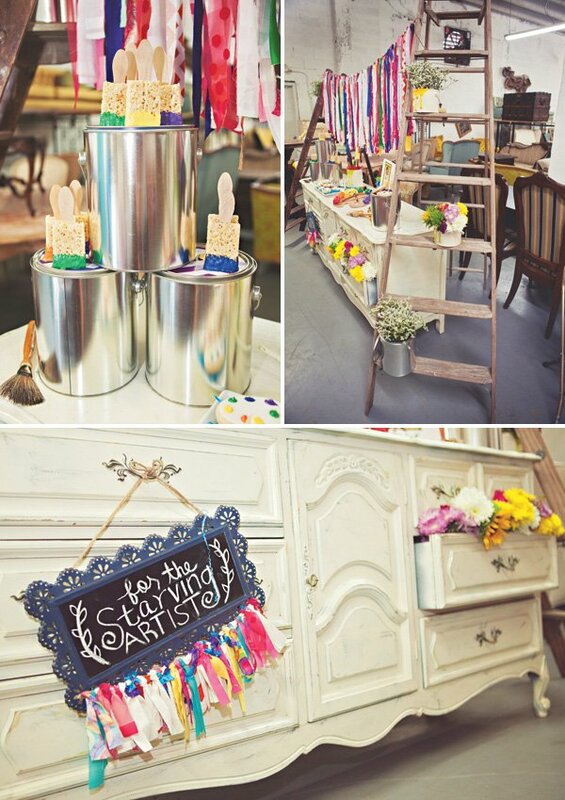 Two vintage ladders were used to accessorize and advance the art theme; they were used to suspend a colorful garland created by Northern Cottage, which matched the chair garlands described above. Empty paint cans, as well as more ceramic art-themed vases, were used to display the artistic treats. Chevron doilies, to match the painting station placemats, were used atop the paint cans, as a mat below the treats above. For an additional pop of color, floral arrangements were scattered throughout the dresser and ladders and beautiful coordinating flowers were styled within the dresser’s bottom-right drawer. 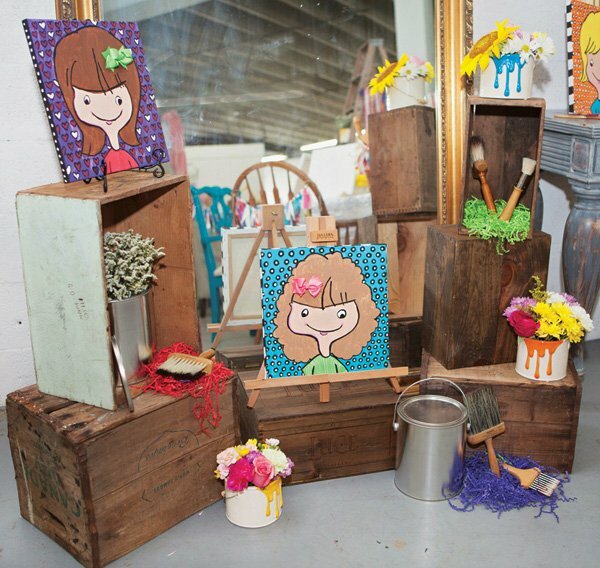 Samples of the art project were styled atop wooden crates in front of an oversized vintage mirror. Again, floral arrangements within paint cans and art-themed ceramic vases, as well as assorted paper crinkle and paint brushes, were used to accessorize. Once the art project was complete, the guests enjoyed some time in front of the photo booth. The photo booth backdrop consisted of long strands of different-colored fabrics, suspended from metal hardware, courtesy of The Salvage Snob. Art-themed photo props were made by Olga of u.Paint. All in all, the tablescape and stations created were simple, yet refined, and considered, in themselves, a work of art. Marcia of Studio One 17 Photography did an amazing job capturing the event. The artists enjoyed a fun afternoon that provided an overall experience not soon to be forgotten. That’s super cute. I love the juice bar! 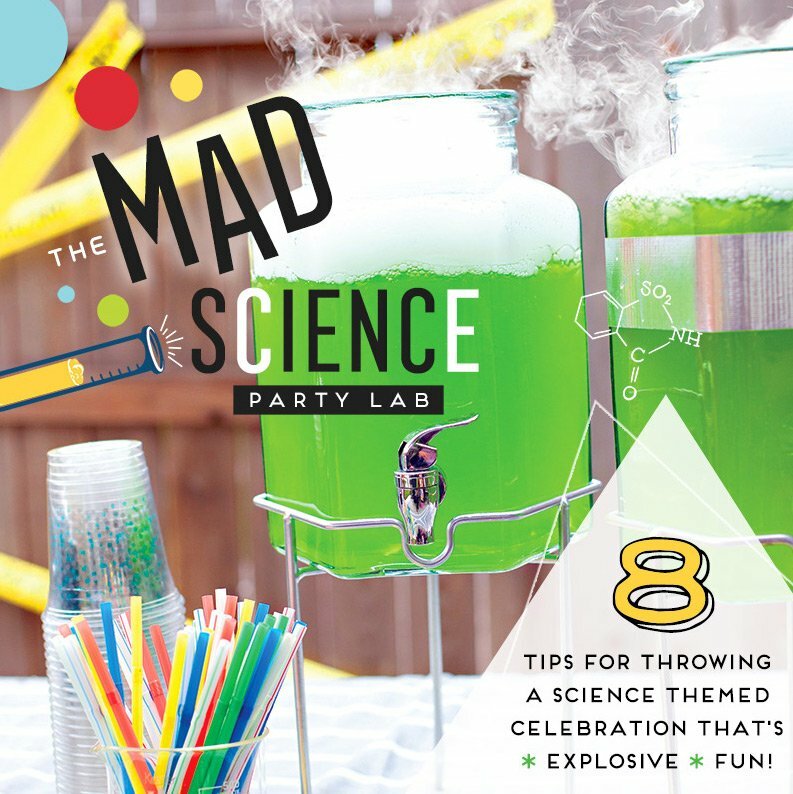 i love this idea and am doing it for a friends 30th birthday, thanks, would love any video how to's?? ?